In Mexican Journal, P. K. Page recounts her experiences as wife to the Canadian ambassador to Mexico in the early 1960s. Raw, bluntly honest and at times painfully intense, the journal entries expose Page’s attempts to overcome troubling phobias and spiritual barrenness. Over time, she discovers colour amid the darkness, immersing herself in Mexican culture, surrealism, and, most importantly, the mystical teachings of Sufism, which would inform her spiritual life for the rest of her career. "Black, black, black is the colour of a Mexican night." 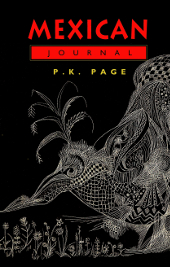 From its first memorable lines, Mexican Journal hints at the shadows that plagued the mind and spirit of P. K. Page during her tenure as wife to the Canadian ambassador to Mexico in the early 1960s. In journal entries spanning the period of March 1960 to January 1964, Page attempts to compartmentalize her various selves as wife of a diplomat, tourist, silenced poet, visual artist and religious novice. Her entries acknowledge troubling phobias and spiritual barrenness, as well as her painful acceptance of the blackness of the Mexican night. They document Page’s study of surrealism and the country’s ‘dark gods,’ and reveal her struggle to overcome her personal dark night of the soul through the mystical teachings of Sufism, which would inform her spiritual life for the rest of her career. Unpublished during Page’s lifetime, Mexican Journal acts as a companion, or more accurately a counterpoint, to the wondrous and sensual Brazilian Journal. Raw in its emotion and bluntly honest in its confessional style, it exposes shadows and undersides in its painfully intense but richly productive analysis of a self that reluctantly faces internal and external darkness. Mexican Journal is third in a series of volumes to be published over the next ten years as a complement to a proposed online hypermedia edition of the Collected Works of P.K. Page. The online edition is intended for scholarly research, while this first published print edition offers an artful text intended to be enjoyed by those few who cherish and wonder at the talent of one of Canada’s greatest poets. Mexican Journal is a snapshot of a particular moment in North American life, captured from the perspective of an artist and an outsider. Mexican Journal, the second volume in a three-volume series of the poet, artist, and diplomat’s wife P.K. Page’s journals, covers two years of the artist’s life in Mexico, a period of great personal and political upheaval. In prose that is by turns vulnerable and brassy, she writes of life in a new locale, of chasing the muse, and of finding her spiritual center. For Page, entering Mexico was not a case of love at first sight. She and her Canadian diplomat husband transferred there after a posting in Brazil, and her first accounts of the nation are blunt: she finds it gray, unartistic, somewhat backward, and writes that the nights are black and ceaseless. These impressions are tempered as time goes on, and as she falls into a reserved affection for some elements of Mexico’s culture, particularly for its folk art. Between diplomatic events at embassies and with government representatives, Page writes of traveling the nation, seeking out its beautiful spots and the bounty of its markets. She pursues local handicrafts with an exacting eye. And beyond the fun of this housebuilding, she has her own art to consider. Reproductions of her crayon drawings and etchings are sprinkled throughout, and evince an intricate mind at work. Page also expresses self-doubt at regular intervals, and such vulnerable moments are disarming and sympathetic. Her husband’s health presents challenge, as do health crises among family and friends at home in Canada, and she struggles with despair: "Reached a point of feeling that the whole of me—mind, flesh, bone, is made of coarse serge. All warp and woof." Late in the work, spiritual exploration is able to satisfy some of her yearning. She finds comfort in mystical Sufism, though she also writes that she feels almost provincial about it at times. Yet as much as her personal and artistic concerns invite sympathy, other reflections are certain to be met with less appreciation, particularly where Page comments upon the traits of those she lives amongst. She is wont to discuss her Mexican neighbors with near disdain, doubting that the man she commissions a tiled table from will come through (he does, and on time), suggesting that her servants are lazy, and commenting upon the perceived brutality of local traditions. Such cultural bias lessens as the text progresses, and Page sometimes even manages affection for her neighbors, as when one houseworker is found to protect her place in open books with flower petals, a choice that Page finds charming. Still, her tendency to rate whole cultures in a fast and dismissive manner can be both surprising and grating. The combination of Page’s tremendous personal vulnerability with her often very critical observations makes for a text that is striking for its consistent sense of honesty, even when what Page has to say is not necessarily what one would expect from a diplomat’s wife. Her artistic pursuits are enlivening to follow, and her commentary upon art and literature is illumining. Brief notes on the terror of the Cuban Missile Crisis, felt even from a distance, add a period flavor. Mexican Journal is a snapshot of a particular moment in North American life, captured from the perspective of an artist and an outsider who has much that’s wise to say about her increasingly less foreign landscape. ‘I picked up this book thinking I’d have nothing to relate to within its pages, but I was mistaken: I couldn’t put it back down. Then I read it again, and couldn’t put it down the second time, either.... Page had a rare talent for capturing someone’s essence with just a few sublime sentences. Besides the ability to portray her associates, and the spirit of the times, Page was adept at detailing states of mind.... And that is only Part One. In Part Two, Page writes extensively about the spiritual and mystic practices that she pursued during her stay in Mexico. It’s worth reading to encounter her distinct and, in some cases, transcendent observations. ‘[I]t could be argued that a writer’s later works (including those published posthumously) can alter the way we read his or her earlier writings. This is certainly true of P.K. 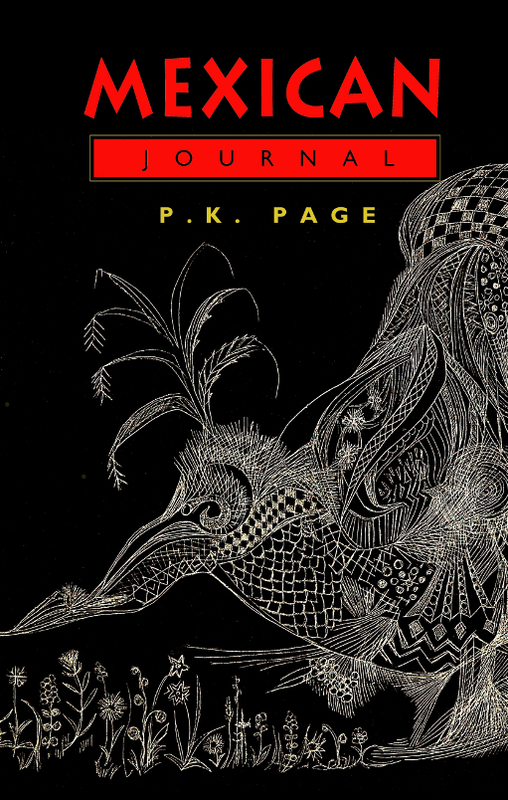 Page’s recently published Mexican Journal, which is bound to demand new interpretations of her autobiographical texts in general and of her Latin American ones in particular, notably Brazilian Journal. Black, black, black is the colour of a Mexican night. And my first impressions of blackness and carnations and small brightly dressed Indians – mother, father and all the little papooses trailing the wide tree-lined boulevards of a European city – will remain I am sure, stronger and sharper than later ones. We had a good flight, non-stop from Toronto. Marred only by the pretentious absurdity of the CPA meal. It was five courses dragged out over hours. Designed to please Canadian tourists I trust rather than a preview of what Mexicans expect. At the airport the assembled Embassy representatives, the Chef de Protocol from Mexican External and the German Ambassador and family whom we knew in Canberra. It was nice to see familiar faces. The hotel where we are staying on and off is very modern, very Hollywood and to my taste utterly depressing. Very dark and stagey with water falling and large plants growing in the dark. It looks out, or our room does, over the roof-tops of this low city. Our impression coming in from the air was that the city was grey. And compared with Brazil with its red tile roofs, it is. From our hotel we see onto the roofs of an immense area of houses – flat roofs, cement, bulbous here and there in a rather anatomical way with cement water storage tanks. Our first black Mexican night was splintered by the melancholy two-note whistle of the police communicating with each other, and little chunks broken out of it towards dawn by a turkey kept on a nearby roof among the laundry. We took a look at the Residence that first day. It is a fifteen-minute drive from the centre of town along a fine Paris boulevard, Paseo de la Reforma It is very lovely, a wide boulevard down the centre along which the finest collection of Don Quixotes ride on a Sunday – large sombreros, the tilt of the brim conforming to the personality – dour, cheerful etc., wide little armless jackets which give their torsos great breadth and then below the most beautiful pants imaginable – with wide strips embroidered or tooled running from waist to ankle. The Reforma has four rows of trees so that coming or going you drive down a tunnel of green – young and delicate now, because it is Spring. Seasons here are confusing. It is spring but it is the hottest season of the year. That means hot outside at midday and cooling rapidly towards evening when it is cold. The mornings are hazy, a thick smog shuts out the surrounding mountains. As it clears in the afternoon you see the horizon with its volcanic mountains with their sinister looking tops which remind me of sawed off shotguns. ‘Black, black, black is the colour of a Mexican night,’ wrote P. K. Page on March 10, 1960 to open Volume I of her Mexican journal (000). Two and a half years later, on September 9, 1962, Page began Volume II by introducing gold: ‘This week mainly notable in my life for producing my first piece of presentable gold leaf. Very exciting. Hardly drew a breath once. They call it oro volador – flying gold’ (000). Page’s retrospective comments about Mexico stressed its darkness in contrast to the light of Brazil, the previous diplomatic posting held by Page and her husband, Canadian Ambassador Arthur Irwin. In Hand Luggage, published in 2006, she reiterated the motifs of light and dark established over the years in her narrative of Mexico functioning as a shadow to Brazil: ‘I have said it before – if Brazil was the day / then night followed next’ (81). 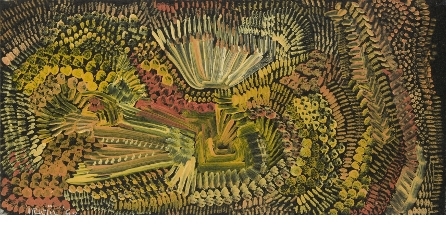 Although the Mexican journal does record and probe the darkness identified by Page, it also contains ‘flying gold’, and various other versions of gold, as well as a multitude of vibrant colours, thus complicating the insistence on an overriding and persistent darkness. It was through this darkness, however, that Page eventually reached a brighter realm than any she had previously inhabited. 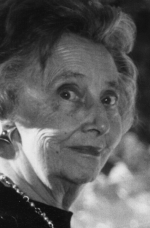 Page’s two-volume journal (March 1960 to January 1964) conveys complex responses to the private and public roles demanded by her positions as a diplomat’s wife, a tourist, an artist and a ‘religious non-Christian’  while in Mexico. Her intense responses were reflected in her deliberate exploration of the ‘dark gods’  of the country and by her openness to whatever darkness she discovered there. Of her time in Mexico, Page wrote ‘But I lived / two lives, maybe three’ (Hand Luggage 75). Her observation was accurate, if understated; while in Mexico Page lived at least four lives. As a diplomat she entertained and organized; as a tourist she observed and interacted; as an artist she responded and created; and as a mystic she searched and transformed. Moving back and forth from outer to inner, from surfaces to depths, from entrances to interiors and from public to private spaces, she made it clear that it was the blackness of the Mexican night that provided the impetus for an engagement with a personal darkness that initiated the spiritual transcendence she was seeking. Looking back, Page asked ‘Was I ready for Mexico?’ (Hand Luggage 81). The pages of the journal suggest that she was more than ready, encountering the dark gods through a receptivity that allowed her as artist and mystic to seize that darkness and transform it into ‘flying gold.’ This flying gold – vibrant, ongoing and transformative – coming out of the dark interior of Mexico, contrasts with the purely sensuous gold that enveloped Brazil, ‘golden, perfect, complete’ (Brazilian Journal 280). In a 1961 entry Page wrote ‘After all my life thinking I was an unreligious Christian, I now think I am a religious non-Christian’ (000). A phrase used by D. H. Lawrence. For the actual phrase, see ‘Mutilation’ (213), Touch and Go (409) and Kangaroo (312).